This website was served by an old timer PC running on an Intel N440BX Server Board codename Nightshade. Despite being a rock solid system, it housed a dual Intel Pentium III 600Mhz processor configuration which did not meet today’s performance demands and energy consumption. 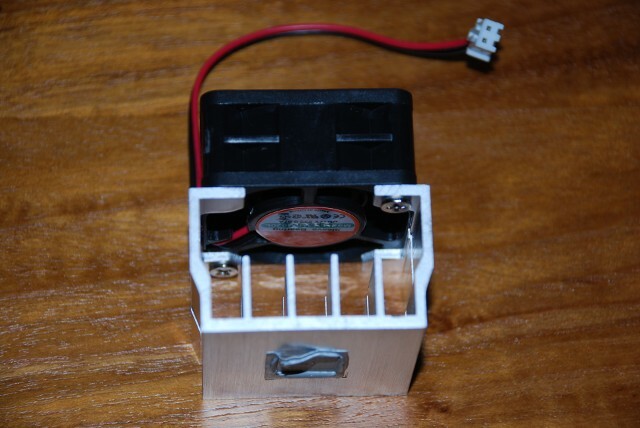 So I decided to build a new computer system that was a little bit faster and more energy efficient than it’s predecessor and thus environmentally friendly. 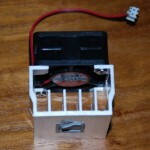 The Antec casing comes with an energy efficient PSU. It’s 80 PLUS® certified and is equipped with a built-in active PFC to make the PSU reduce electrical waste and protect the environment. 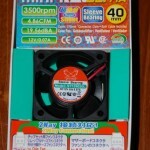 As some reviews at silentpcreview.com stated, the stock cooler on the chipset is not that quite as you would expect. 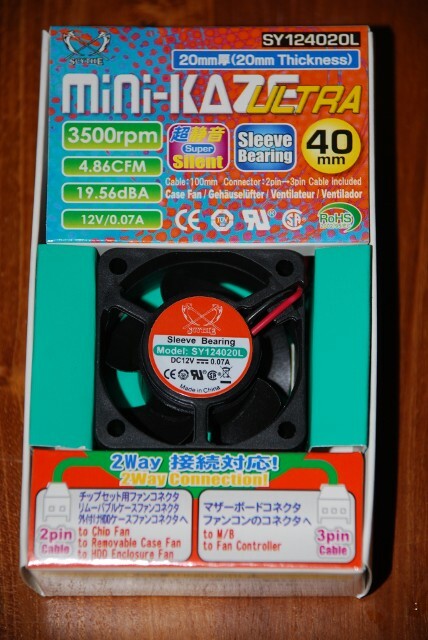 I decided to replace the 40mm x 10mm stock cooler with the Scythe Mini Kaze Ultra 40mm x 20mm. 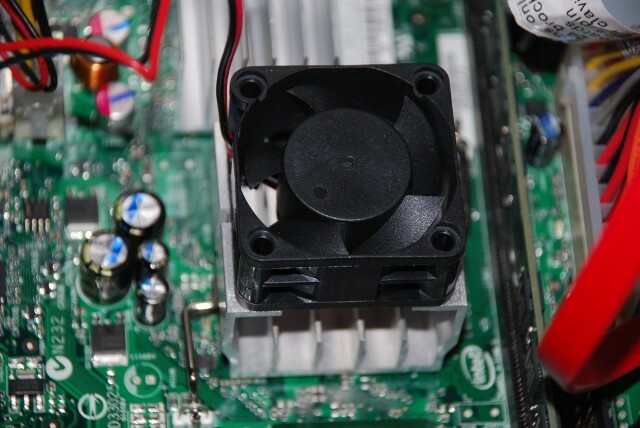 Because the motherboard sits inside a MicroTower there was space enough to put the Mini Kaze Ultra on top of the heatsink as you can see on the pictures below. As expected there’s nearly no noise coming from the system. The case itself is designed to do noise cancellation with it’s dual chamber structure, and the new cooler only whispers silently. 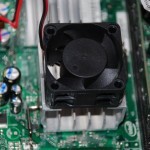 Besides doing a nice quite job it also makes a difference at it’s cooling task. That’s because it’s 10mm higher then the stock cooler. I’ve planned to do an energy consumption test in the coming days.